We’d like your help to ensure we continue to offer you a better and more personal service. And with your individual responses, we get a much better idea of how we can help you. That’s a win-win survey. We’d like your help to ensure we continue to offer you a better and more personal service. And with your individual responses, we get a much better idea of how we can help you. That’s a win-win survey. important to you and your playing experience. 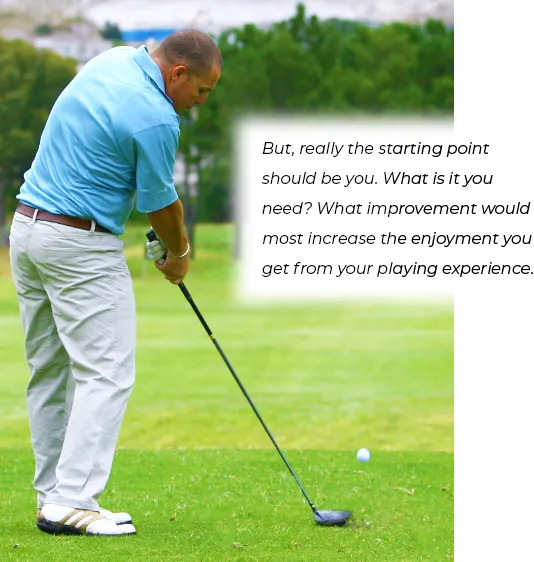 Improve your tee shots right now? Tee Shot Assessment right now.